The Mediterranean Food Co. Online Shop Terms & Conditions. If you have made an error with your address, please have your order number ready and contact us immediately, as we may be able to correct this at our warehouse before your order is shipped. Once your order is collected by the courier, we have no control over it. Any enquiries about your delivery need to be directed to Fastway courier. Please also keep in mind that orders can be held up by Fastway courier due to busy sales periods and public holidays. All prices are quoted in New Zealand dollars, and are subject to change without notice. All prices are calculated without GST. Final price, with GST and Shipping included, will be displayed at the checkout page, before final payment transaction. Orders will be accepted once we are satisfied the transaction can be confirmed as legitimate. We reserve the right to reject any order where the customer is unable to verify their payment method or respond to any reasonable concerns. This adds an additional layer of protection and reassurance for our customers but may result in a delay in order completion if we are unable to contact you. All stock on-line is available in our store at The Mediterranean Food Co. at 322 Tuam St Christchurch, however not all stock in store is online. If you have seen an item in-store which does not appear online, please email or call us and we can check availability. You can place phone orders by calling our Team on 03 379 51 22. We aim to deliver your goods as quickly as possible and because we generally keep stock on hand, we will endeavour to process & dispatch your order within two to three business days, and a little longer for rural deliveries. Please note, we are unable to deliver to Post Office boxes. All deliveries will be made by our preferred courier Fastway Courier. Please note that this service is designed for dry goods. We can’t guarantee the safe arrival of any refrigerated goods or fresh produce, as we do not use a refrigerated courier service. Any orders placed on weekends or public holidays will be processed within the next two business days. Orders received after midday will be dispatched the next working day; orders received on Saturdays and Sundays will also be dispatched within the next two business days, excluding stock on backorder. Please allow additional days in transit for delivery. If there is a significant delay with your order, we will contact you via email or telephone. To track your parcel, please follow this link https://www.fastway.co.nz/tools/track/. Shipping charges for your order will be calculated and displayed by Fastway Courier at the checkout. Delivery delays can occasionally occur. Any time stated for Delivery by Fast Way on an order is an estimate only, The Mediterranean Food Co. will in no event be liable for any late delivery. If you are waiting over the estimated delivery time, please contact the shipment carrier (Fastway) to file a claim. 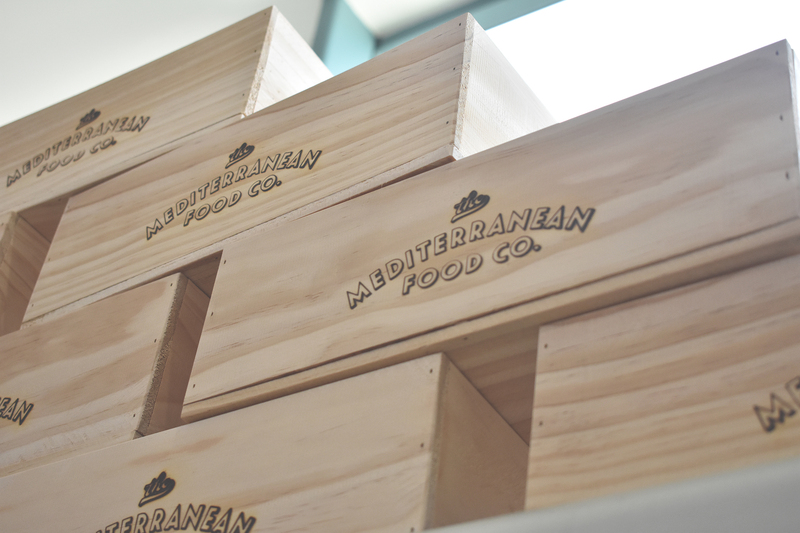 The Mediterranean Food Co. is not liable for any products damaged or lost during shipping. If you your order is damaged, please contact the shipment carrier (Fastway) to file a claim. Please note: to be able to file a claim we highly recommend to take pictures and save all packaging materials and damaged goods before filing a claim. Kindly note that to be able to purchase and complete a payment from overseas, you will have to enter a New Zealand billing address. Unfortunately we are only able to deliver orders within New Zealand. We take pride in the products we stock and we hope you enjoy them as much as we do. We are unable to offer change of mind refunds or refunds/exchanges on undamaged products. Once an order has been placed, you cannot cancel it. For this reason, any exchanges will be at our discretion and at your own cost. The returned, undamaged product must be in its original packaging and 100% intact before a credit note is issued. The item must be returned within 7 working days from delivery for a credit note to be issued – this policy is strictly enforced. If the goods are faulty we will meet our obligations under the Consumers Guarantee Act. If you would like to return a faulty item, please email us on tuamst@medfoods.nz within 24 hours of receiving the item, including a photo if the fault is visible. If we are unable to supply your order after you have confirmed your purchase, we will refund you in full. Refunds will be issued by direct deposit to your credit card. Please allow up to 10 days for the transaction to process. The card issuer controls the timing of returned funds. Please contact your card issuer for details. Your use of this website, and any service provided through it, are subject to these Terms and all applicable New Zealand laws. By accessing and interacting with this website, you accept these Terms. If you do not agree, you must refrain from accessing and browsing this website or using any of the services provided. We may amend these Terms at any time without notice to you, and it is your responsibility to monitor this website for changes. At The Mediterranean Food Co. we are fully committed to respecting your privacy. We guarantee that your personal information will not be shared with any third parties. If you send us an email we will store your e-mail address and the contents of the e-mail. The Mediterranean Food Company is bound by NZ Privacy Act 1993. For more information visit www.privacy.org.nz. We guarantee a safe and secure shopping experienced online, secured by Stripe Payment Gateway for its online credit card transactions.